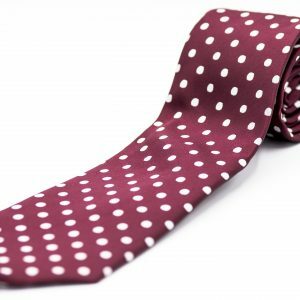 Maroon tie with white polka-dots. Light blue and purple floral pattern on navy tie. It is a beautiful day, the sun is shinning, what more could you ask for as you plan make a picnic out of your competition. 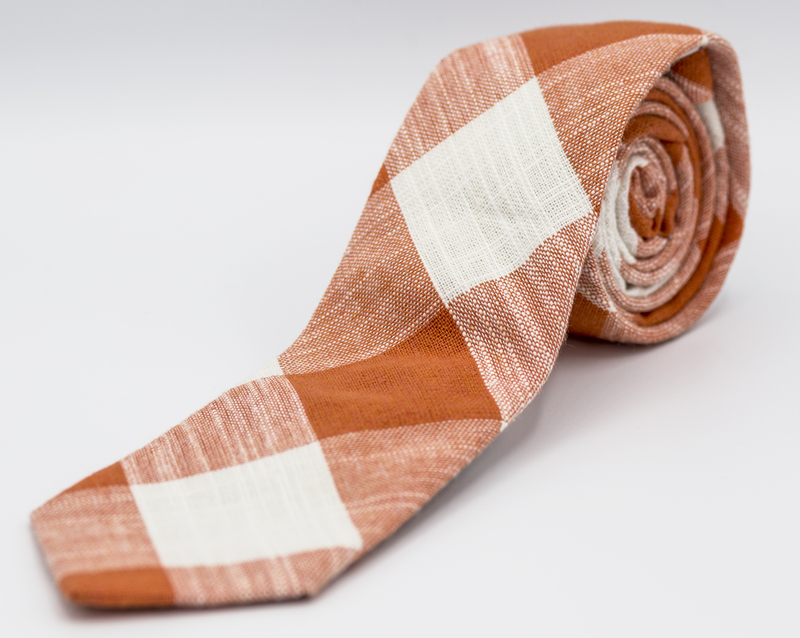 This bold orange and white checkpoint designed tie, will give you just the look you need to power through the day. Pairs well with any blue suits. 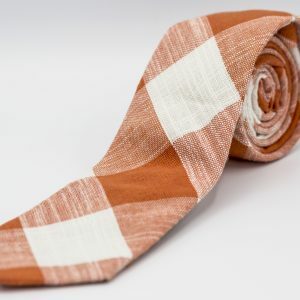 Small size orange design lapel pin. Small size Owl design metal lapel pin. Just like peppermint you are bold and distinct from anyone else. 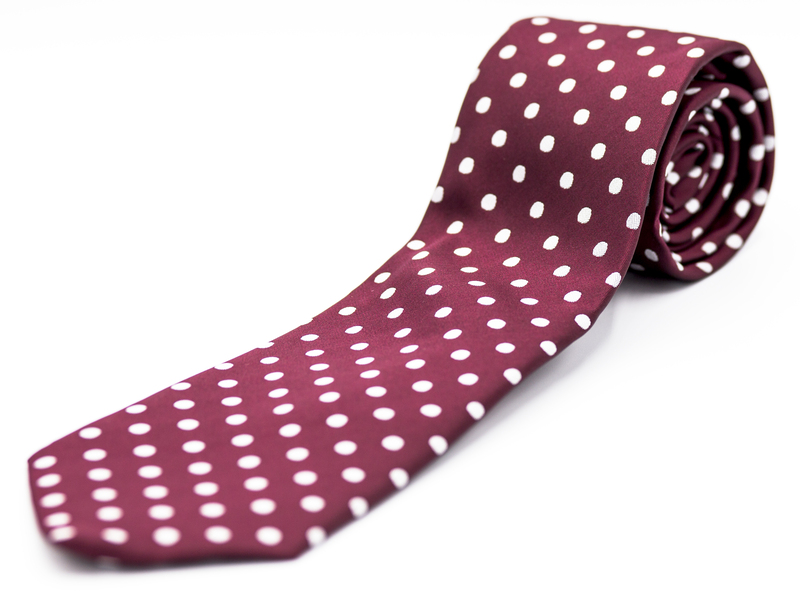 Refresh your look with this red and white colored tie.